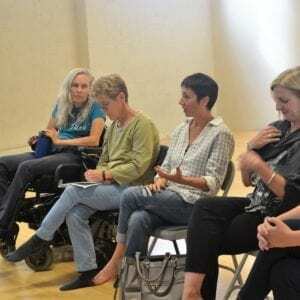 Engage in dialogue about teaching dance to students with disabilities. Luna invites a distinguished panel of guest experts to lead this critical conversation. This year’s panel features infant mental health specialist/special ed professor Rebecca Hawley, special ed teacher Julie Slater, AXIS founder Judith Smith, AXIS dancer Dwayne Scheuneman, dance teaching artist Jennifer Dennehy, and CSUEB inclusive interdisciplinary performance artist Eric Kupers. No prerequisite. 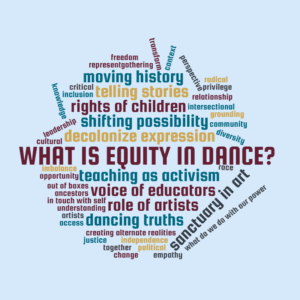 Join local artists, educators, and activists in this discussion on race, power, and privilege in dance, and how we can make our teaching more inclusive and equitable. This conversation will be available through a livefeed. Please email PL@lunadanceinstitute.org for more information. 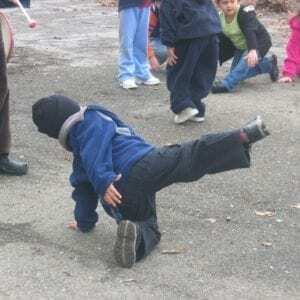 Accessing the joy and benefits of inclusive play poses unique challenges for children on the autism spectrum. 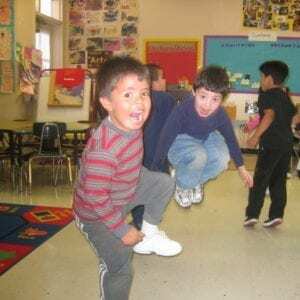 This half-day workshop introduces the Integrated Play Groups® (IPG) model, an evidence-based practice for guiding children on the autism spectrum to participate with neuro-typical peers in mutually engaging social and imaginary play experiences. Fostering opportunities for socialization and creative expression in the culture of play with peers will be highlighted. Considering that what supports a child with autism supports all children, this workshop is for all educators hoping to improve their inclusive practices. Taught by world-renowned founder of Integrated Play Groups® Pamela Wolfberg and autism researcher Suzanna Curtis. No prerequisite. 10% Professional Discounts available for this course for Dancers’ Group/CDEA/NDEO members. 20% off for current full-time students. Please contact 510.883.1118. Dr. Heffron is the former Clinical Director of the Early Childhood Mental Health Training Program at UCSF Benioff Children’s Hospital-Oakland. In that position she directed the Irving B. Harris Early Childhood Mental Health Training Program and other consultation, training programs, and internships in the Early Intervention Service Program. Author of numerous articles and chapters on aspects of early mental health services and program development, Dr. Heffron is the co-author of a widely used book on reflective supervision and leadership for infant and early childhood programs. Currently Dr. Heffron provides consultation and training to a variety of programs and provides psychotherapy in a small private practice where she works with divorcing parents and others who have experienced trauma or loss. Dr. Heffron is a founding member of the California Association for Infant Mental Health and is also involved in other program and policy development efforts. She presents frequently on the importance of multidisciplinary systems of care for infants, young children and families. Additional interests include the impact of culture on development and intervention,building resilience after traumatic events, relationship-based intervention approaches, and the support and development of clinicians and providers from many systems working with infants, young children, and their families to promote healthy relationships and healing after adversity. Practitioner Exchanges create time and space for peer educators to explore issues of practice. Get inspired! Try out new ideas or perspectives! Ask for help with your challenges. Each month centers on a different topic. This year, Practitioner Exchanges are paired with workshop offerings as an opportunity to integrate and revisit information throughout the year. Practitioner Exchanges are facilitated by Summer Institute alumni and veteran dance teachers experienced in the topic addressed. Come to ONE, come to ALL. No prerequisite. Held at Luna Dance Institute, 605 Addison Street, Berkeley, CA. Practitioner Exchanges are included in the cost of workshops as follow-up discussions. When taken in conjunction with a half-day workshop, PD hours total 4.5-6. Free of charge for registered Professional Learning Users (those who have paid the annual $25 fee).